Throw the Best Fall Parties! 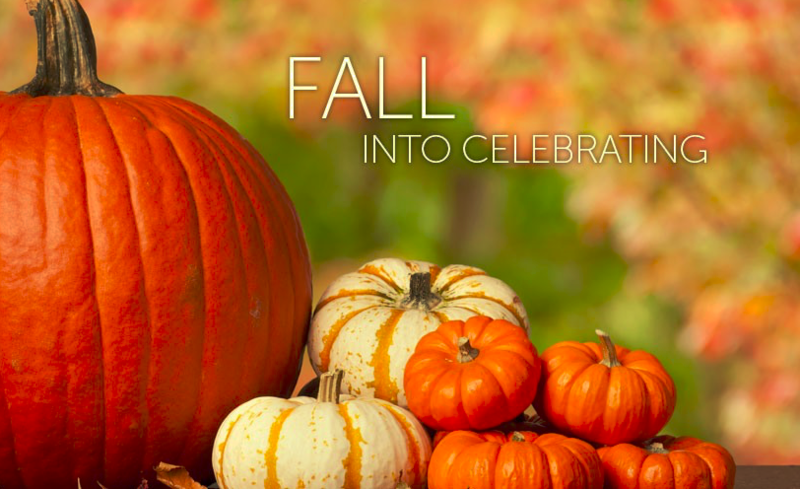 Use the fall colors, scents and nature as inspiration for your big fall party. Planning and preparation are the key to any good party, and throwing an outdoor fall party is no different. There are certain things that you need to take into consideration, especially the weather (unpredictable as it may be). AMJ Spectacular Events has been helping to plan parities & events for over 15 years, here are some fall planning tips from our experts to ensure your fall outdoor party will be fun, successful and guests will be left wondering when the next celebration is! Fall has a lot happening, which opens the floodgates of theme ideas. You can throw a harvest party utilizing pumpkins, apples and leaves as inspiration. Fall is known for football so that can be your theme. Back to school and Oktoberfest are great themes too. So the first thing you need to do is decide on your fall party theme. Once that is in place, you can work on the rest of the outdoor party ideas. There are so many great fall foods and if you are planning on feeding guests you may want to consider grilling it’s always a great option for outdoor events, but it can be time-consuming. If you want fall snacks AMJSE rents Hot Pretzel Warmers and Popcorn Machines for easy on the go fall snacks. Other popular fall foods are our Mini Donuts with different toppings as well as our Churro Warmer. If you something more festive with the season your guests will love our Carmel Apple Bar with different toppings and sauces it is sure to be a huge hit. The weather can be quite chilly so be sure to warm up guests with Hot Apple Cider or Hot Chocolate, which features customizable options for the table. Plan some fall-themed activities or rent some fun games. Put out some backyard games for your guests to play. Corn hole is always a good option. Additionally, horseshoes and bocce ball can also be played in the fall too. Let kids bob for apples or have potato sack races. Make a pumpkin painting patch for the kids as well. Guest will love playing our oversized version of Jenga, Connect Four or even Battleship they fit perfectly into fall themed events. 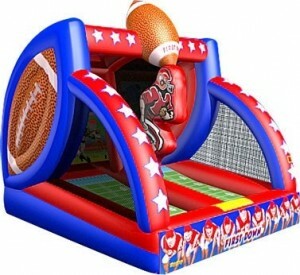 If your looking for more sports related rentals try our Inflatable Football Toss or Framed Football Toss. 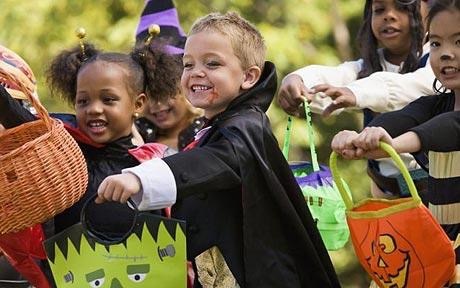 If you’re hosting an event were you have a bit more space your guests will love our inflatable Haunted Mansion and our all new Happy Halloween Fun Village. If your event has more of a fall theme check out our Corn Maze, its so fun to see how fast guests can get through the maze. Lindsey Rhea, an event planner at AMJ, loves putting together fall movie nights with AMJ’s inflatable screens, “Create an outdoor movie party to take advantage of the earlier nightfall and decorate the area with pumpkins and other fall or Halloween items. There are so many great Halloween themed movies you can choose from.” says Lindsey. Please visit us at amjse.com for more information. 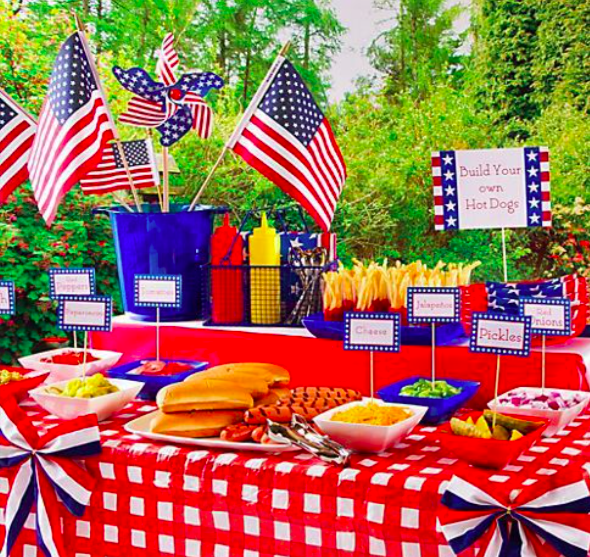 Perfect 4th of July Party Planning! Before you know it, summer will be in full swing. For those of us who love to barbeque, this means that the most beloved holiday of all is here: the 4th of July. This Independence Day, why not celebrate in style with the perfect July 4th party? If you’re looking to have a killer 4th of July bash, read on to discover some handy party planning tips from AMJ’s Event Planner, Lindsey Rhea. In true 4th of July spirit, fill a basket or bucket with red, white, and blue trimmings. Visit the dollar store or your local party store and load up on all sorts of inexpensive, what-would-you-need-this-for? items. We’re talking about paper pinwheels, flag picks, and streamers. Hint: Don’t overlook the decor meant for tables, walls, and ceilings, either. “Integrating a theme is my favorite part of planning a party, and it’s so easy to do with a party like this one. You don’t have to come u p with a theme for a 4th of July party; it’s already there in the holiday itself.”, says Lindsey. 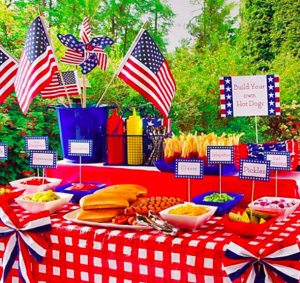 Even if you don’t love planning parties and want to keep it simple, showing your patriotism with a few bursts of red, white and blue can pull your party together visually and turn a little shindig in the backyard to a fabulous party. 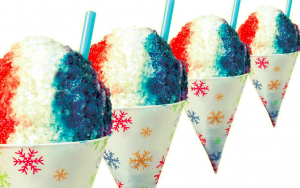 Serve festive foods like red, white and blue snow cones. What’s a 4th of July party without a barbeque? AMJ can help you throw the perfect BBQ with our grill rentals, in case you need extra! The easiest way to feed a lot of guests quickly and efficiently is buffet style. And with the addition of table & chairs rentals and tent rentals you can ensure to create the perfect outdoor space. 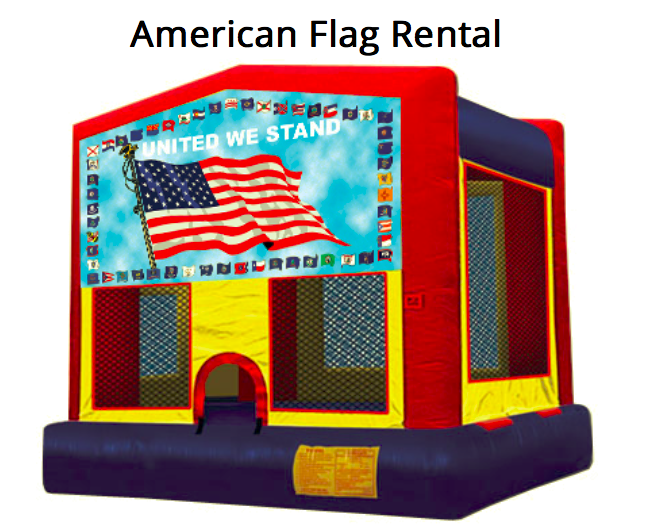 As a tip, try to get all of your rentals, including inflatables, from the same company, as it will be the easiest to coordinate and the most cost effective. 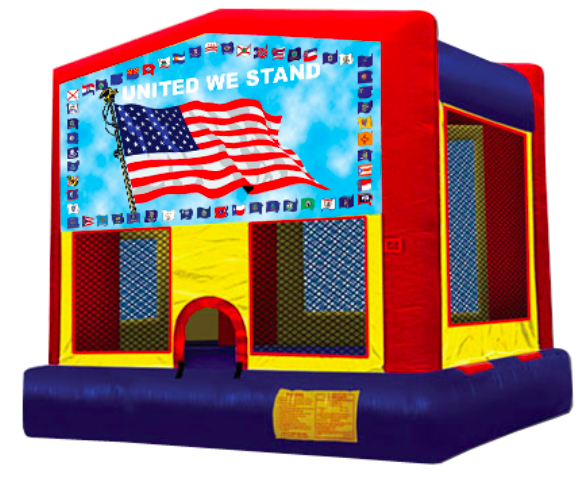 Keep the kids occupied with festive inflatables including AMJ’s red, white & blue single lane slide or bounce house. 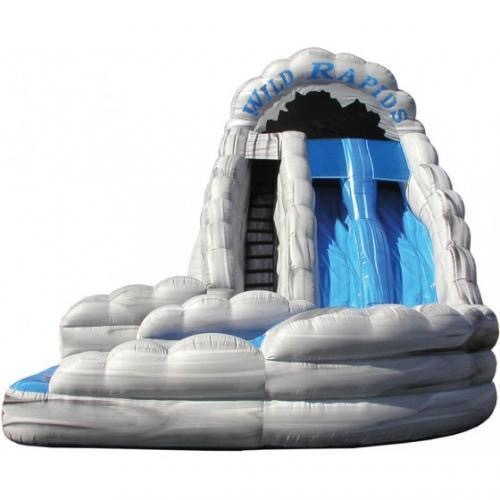 If the weather is going to be extra warm then adding a water slide is a must like our 18′ modular slide with pool. 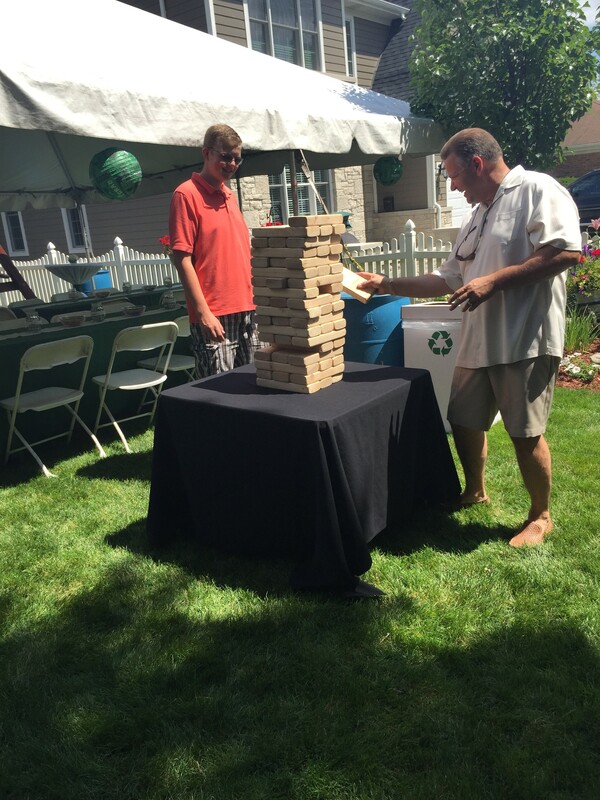 Adults love our Giant backyard games including our Giant Jenga, Giant Connect Four and Bag Toss. 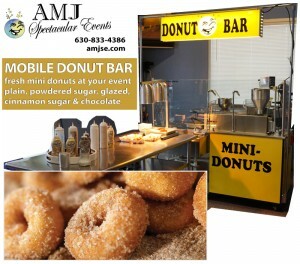 With an inventory of over 1,000 items AMJ can help plan the perfect event to fit all your needs. 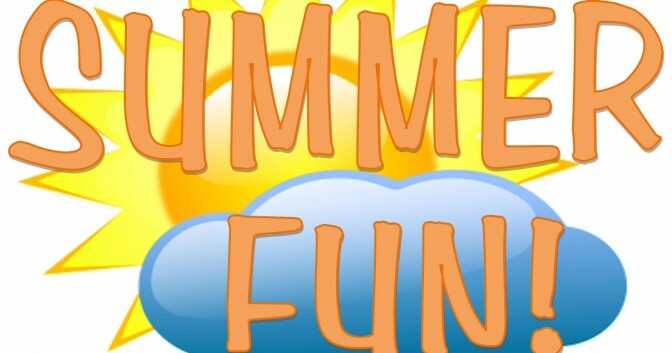 Contact Lindsey today and get started with your summer party planning! 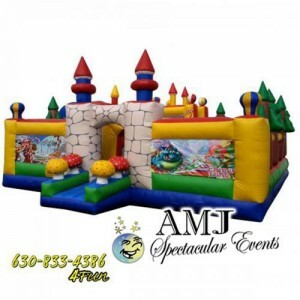 Planning a Springtime Event….Start with a Call to AMJ! Start the planning process early. In fact, start earlier than you think you need to. This allows you to do your planning in a relaxed orderly fashion. It is never a problem to finish early and be able to sit back and relax. Starting early also allows you the ability to more easily address any problems that crop up during the process. Talk to a professional planner or coordinator. If you need a lot of support and help, you should hire a real professional that has some solid experience and can provide the direction and guidance you need. AMJ Spectacular Events is a complete party rental company, designed to fit any sized party at any budget. They are family owned and operated while being supported by a professional & dependable staff. 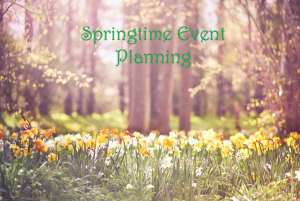 Their Event Specialists have many years of experience planning events for backyard parties, corporate events, picnics, country clubs, tradeshows, churches, colleges, and holiday parties. Will they handle booking all of the service providers for the day or will they simply coordinate all of the moving parts for you. Consider an Outdoor Event Spring is a perfect time to consider holding an event outside. Before summer starts to heat things up, the spring is a perfect time to enjoy temperate weather and get some fresh air. Events can be held anywhere from company grounds to a nearby park or on rented space. Determine the location that’s best for you and the events that suit your party’s theme. 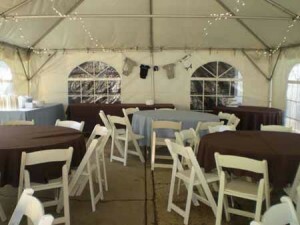 Ask about our tents, tables and chairs too! Don’t Skip the Entertainment A good party should be about more than just getting t ogether and eating. Put some consideration into finding DJ service or entertainer. Other ways of livening up the mood include events like trivia/game show rental or karaoke. Consider a range of entertainment options that can satisfy all your guests. 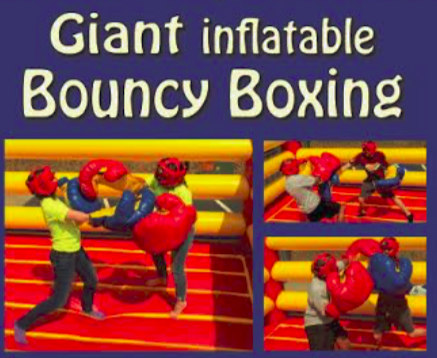 Some popular choices include Giant Game Rentals like Jenga and Battleship as well as inflatables for all ages including a Wizards Castle or a Hungry Hippo for older kids. AMJSE has 1literally 000,’s of inflatables, games, concessions, interactive products, trains, photo booths, and much more. Their products are fun and add excitement to events, which in turn creates memories that last a lifetime for everyone in attendance! Relationships with dependable and reliable vendors allow us to provide additional services to make your event truly spectacular. AMJSE would like to be your “one stop shop” to ease some of the stress of event planning. Give us a call or email today to begin your planning! Celebrate the Spirit of Competition! In this version, one player will be trying to beat the clock for each game. So for instance, they will have to try and finish the task in a minute. If they do, they win a prize. If not, let someone else have a shot. If you go with this style, I recommend choosing a different person for each game. In this style, you’ll pick two players for each game who will going head to head against each other playing a game rather than trying to beat the clock. So for instance, you’d give two people a bucket full of ping pong balls (preferably different colors) and see who can get them over the ramp first. In this style, you’ll split your group into two (or 3 or 10 depending on the number of guests) teams. For each game, teams must choose one player to compete head to head in the game with the other teams. The entire team won’t be competing, just one person from each team at a time. First team to finish gets five points, second gets three, and etc. This works best if you have quite a few people and is a good way to get everyone involved cheering for their team. Want to kick it up a notch…rent these for your event! 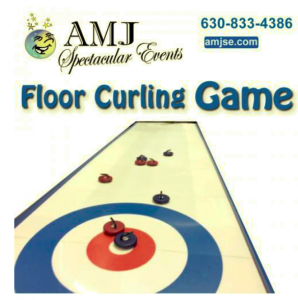 Bring our Floor Curling to your next event and bring an winter olympic feel to your party. Kids & adults will also love our Tug of War and Bouncing Boxing. 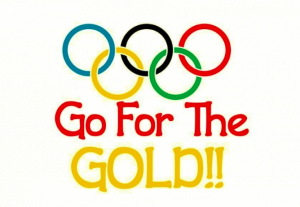 We have so many games that can re create a fun competitive Olympic themed event! 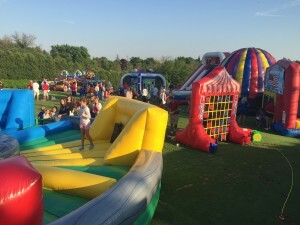 Perfect themed event for colleges and school field days! Serve a smorgasbord of international foods and decorate with small flags from around the world. 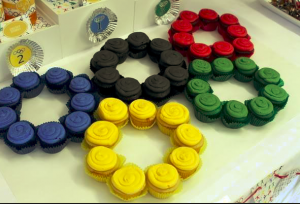 Make an Olympics-themed cake that represents the rings and torch. Snack-filled torches: fill ice cream cones with orange or red snack foods (to represent the flame), such as cheese balls or cheddar cheese popcorn. Serve a variety of round, “ring-style” foods to honor the Olympic rings. Ideas include donuts, pizza bagels, and breadsticks that have been twisted into circles before baking. 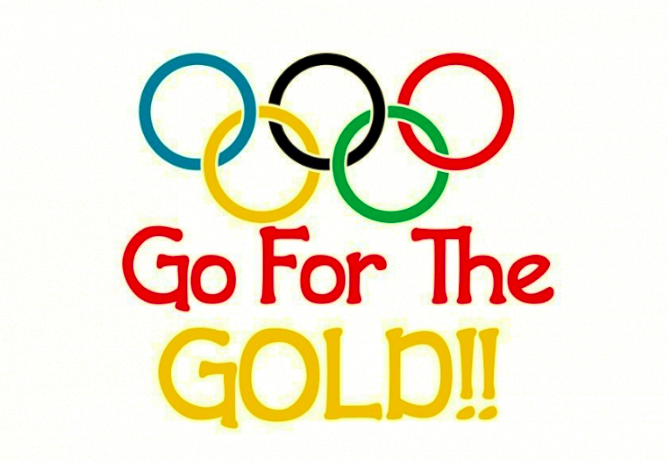 Use the colors of the Olympic rings as your color scheme: blue, yellow, black, green, and red. Incorporate these colors in your table dressings, balloons, and paper streamers. Use international flags as part of your decor. Whether you want to throw an all-out Olympics party or just want to invite some friends over to watch the big events on TV, you can have fun celebrating in gold-medal style. Festive Fall Treats to Warm You Up and Satisfy Your Sweet Tooth! Fall is finally here and AMJ is celebrating the season with our fall treats. Our Fall Treat Rentals are perfect for Fall Festivals, Parents Weekend, School and Church events that need a delicious seasonal treat! Check out our all new S’mores Bar! Our smores bar is a great dessert presentation that is popular with people of all ages. Interactive, beautifully presented and so much fun! Guests will return again and again and talk about your Smores Bar long after your reception ends. Try one and you’ll want Smore! Just in time for cooler nights, warm up with our hot choclate and apple cider bar. Sweeten up this years holiday office party or break room by treating your employees to a hot apple cider and hot chocolate bar, br ought right to your office by AMJ Spectacular Events! We know it is a busy time of year, so we make this sweet-treat no hassle by doing the work for you. 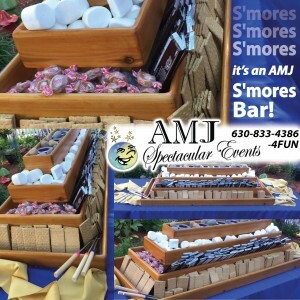 From set up, to serving, to clean up, AMJ Spectacular Events will take care of every detail! Nothing says fall quite like delicious caramel apples. 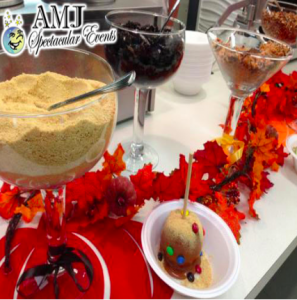 Make your own Caramel Apples with our Caramel Apple Station, complete with toppings and an AMJ attendant. If you are looking for a splendid treat to offer your guests or hard working employees, then this Caramel Apple Bar is an amazing choice. Finally no Fall Event is complete without the ultimate treat, mini donuts! Can you smell that tempti ng aroma of fresh baked treats? Wow your guests with these hot and delicious donuts right out of the oven, a definite crowd favourite! Try them in cinnamon sugar, or icing sugar! Make super fast delicious donuts with our Mini Donut Bar. Make the donuts to order in less than a minute! They come out piping hot and ready to eat! Just sprinkle them with a bit of cinnamon and sugar, or any other sweet topping you would like, and enjoy! Give us a call at 630-833-4386 or visit our website! to rent these and other fall products! Top Ways to Beat The Heat At Your Event! If you’re planning an outdoor summer event in Chicago, you know that some days can be brutally hot. 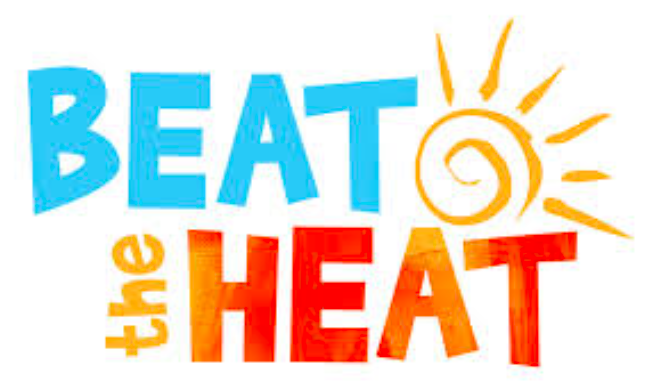 Luckily, there are things you can do to to help guests beat the heat while not giving up details that make the day picture perfect. By renting tents and canopies, you can shield your guests from the hot sun and provide protection from the frequent pop-up storms of summer. Place fans at each en d of a tent to create a flow-through breeze. Place the dance floor near a fan. The instant breeze will keep guests cool without the worry of them passing out while doing the “Cha Cha Slide”. Beat the heat with cool treats for your next summer event. Whether you want to serve up frostie’s, Good Humor Ice cream or snow cones these summertime favorites will keep everyone cool while enjoying a tasty treat! Kids love the chance to explore, climb, slide, jump, and have a healthy, happy, active playtime. 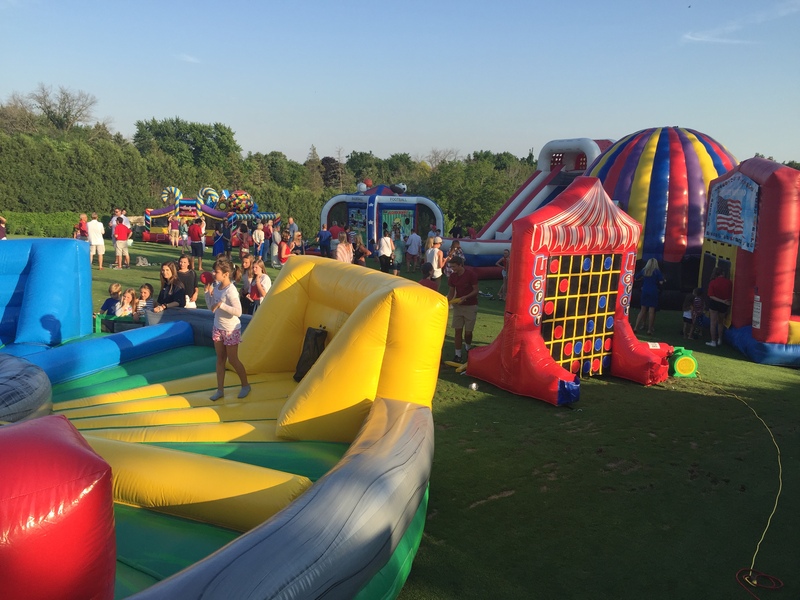 They can do all this with inflatable slides, and when attending events that feature these blow up bouncy houses, they won’t want to leave. Adding water to a summer event can also prevent the kids from over-heating or getting fussy and uncomfortable. Water slides and inflatable pools are perfect for a foot soak or a splash. Just make sure to have some towels handy to dry off. Summer time in the midwest can be an excellent time for an outside event. You just need to know how to keep your guests cool for a great time. 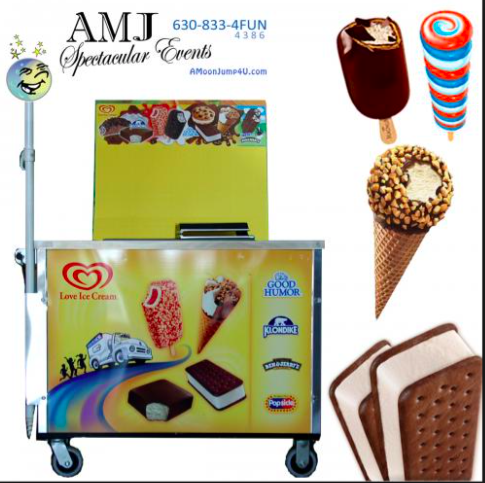 Let AMJ Spectacular Events help wtih planning your summertime event. Summertime means a lot of things to a lot of different people, but for those of us in the party business, it means party time. Graduation parties, weddings, showers and family reunions. No matter the theme, no matter the type, we know that if you’re planning a party, you want to save money and throw the biggest, most talked-about bash around. So we’d like to take the time to give you some ideas to help you pull off one spectacular summertime event! Let There Be Bubbles – Who doesn’t love bubbles right! Rent our bubble machine, for endless fun. A professional bubble machine will leave your little ones laughing for hours as they chase hundreds of bubbles. Adorable. “Giant” Games – Looking to add some ginormous fun at your summer party check out our Gaint Jenga, Connect Four, and our all new Battleship Games. Perfect for the backyard! Lawn Games– Set up lawn games for your guests to play. These can be anything from croquet, to horseshoes, to volleyball or even badminton. If you have a large number of guests attending, then consider having teams and doing a tournament! Groovy Dance Contest – Put on some dance music like the “Macarena”, the “Cupid Shuffle” or the “Cha-Cha Slide” and let your guests shake their stuff! Need something more check out our audio equipment rentals. Dodge Ball & Kickball – Divide your guests up into two teams and play some exciting games of dodge ball or kickball. You can have a mini tournament if you have a large number of guests and give the winning team some small prizes. We even rent Bocce Ball! Water Fun – We rent a huge selection of inflatable water slides, and dunk tanks to help your guests cool off this summer. Need something simple try to make a lot of water balloons and play some water balloon games, such as water balloon tag, or have a water balloon tag. Tell guests to bring swimsuits or a change of clothes and have some extra towels ready, as you and your guests are going to get soaked with these games. Frisbee Golf – Set up a golf course in your backyard or at a nearby park or field. Use various household items to make “hazards” at each “hole”. Also set up a flag or stick at the end of your “hole” numbered 1 through 9. All you have to do is take turns throwing a Frisbee until you hit the numbered flag. Keep track of how many throws you make, and the person with the lowest score at the end wins! Scavenger Hunt – Make a list of common household items or of outdoor things. Your list can include anything from a rock, to a spoon, a spool of thread or even a leaf from a certain tree. Divide guests into teams of three and send them out into the neighborhood to find the items on the list. The first team back with everything on the list wins! If you are including items where team members will need to ask neighbors, make sure that children have an adult on their team to help them out and keep them safe! Spectacular 4th Of July Celebrations! Independence Day is quickly approaching and it’s time to start planning your celebration! You want to have a party that is as effortless as it is entertaining…and here’s how! The best way to ensure that your Independence Day party is a success is to plan out the details ahead of time so stress is minimized and you can enjoy the festivities along with your guests. Assign jobs to other people and they will be happy to help out so that you can enjoy the day as much as the rest of your family will! Write down your thoughts, ideas and items to purchase. Some people create a timeline and write down what needs to be done when. Others make a master list of all items to be purchased. • Set up the yard with extra tables, chairs and even a tent to shade guests from the sun or rain. • Plan the menu and make a shopping list of what you will need. • Inspect the grill to make sure it works, check the propane tank! Need an extra grill for a larger party we have plenty for rent. • Set up any 4th of July decorations you want, such as tiki torches, twinkle lights, American flags and patriotic streamers. Whether you choose well-organized games and contests or simply let folks relax, having a few activities around can help keep the party flowing. • Outside games such as horseshoes, badminton, volleyball and croquet. Or “Giant Games” like Jenga, Connect Four or Bulls Eye Game! • Patriotic games such as American history trivia, famous Americans charades or state word scramble. 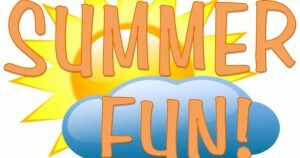 • Kids love water games such as water balloons, squirt guns or running through the lawn sprinkler. 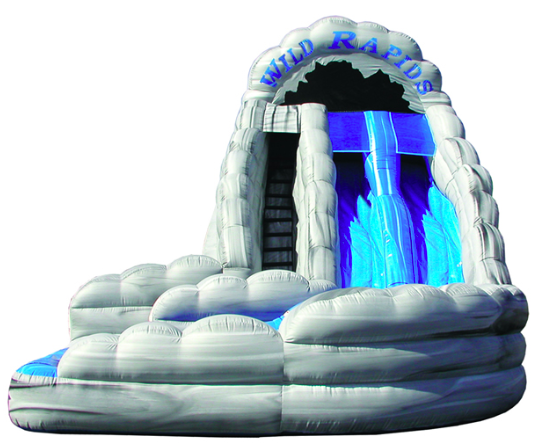 The keep the cool rent one of our inflatbale water slides or patriotic inflatables. • With adult supervision, have some fireworks fun with sparklers, firecrackers and fountains. It doesn’t have to be a lot of work to throw a 4th of July party. Staying organized can keep stress levels under control and result in a party that even Uncle Sam would be proud to attend. Hot, fresh mini donuts for your next event! Can you smell that tempting aroma of fresh baked treats? Wow your guests with these hot and delicious donuts right out of the oven, a definite crowd favourite! Try them in cinnamon sugar, or icing sugar! Make super fast delicious donuts with our Mini Donut Bar. Make the donuts to order in less than a minute! They come out piping hot and ready to eat! Just sprinkle them with a bit of cinnamon and sugar, or any other sweet topping you would like, and enjoy! The Mini Donut Bar turns donut making into a quick and easy thing. Our on-site donut maker will do all the prep and work to ensure that our guests are enjoying piping hot donuts in no time! We also set up a line of dessert condiments to add to the donuts, like powdered sugar or glaze, and let everyone customize their donuts. Everything you need to make donuts for all your guests is supplied with the Mini Donut Bar. We provide hot fresh delicious mini donuts prepared right on site for your event or private party. Not only do we make them right in front of you and your guests, but we do so in a way that is visually entertaining as well. 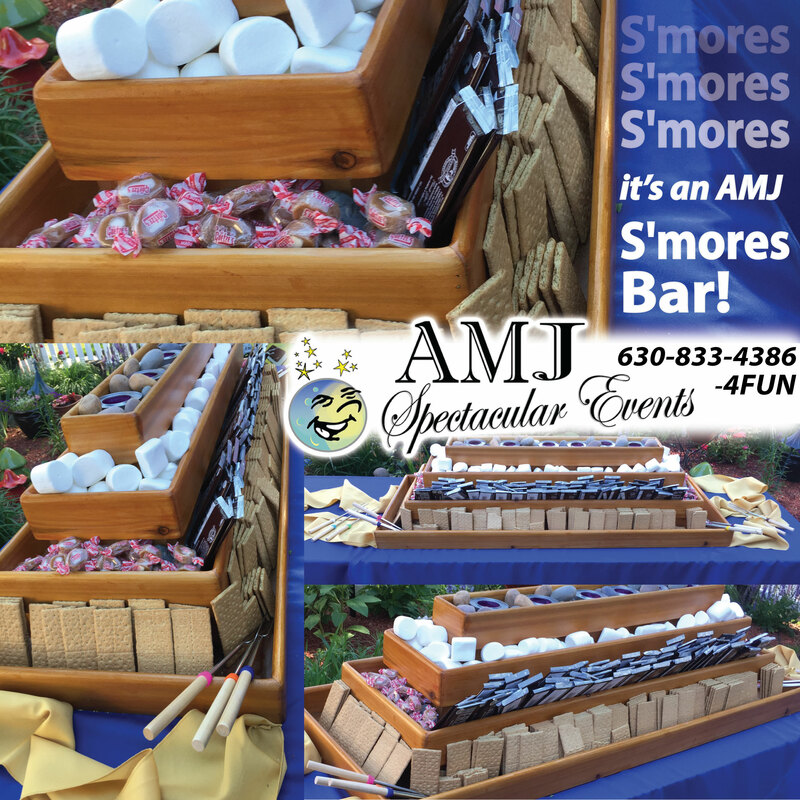 Our goal is to give your guests something to remember your event by and AMJ Spectacular Events always delivers! Happiness Is A Hot Donut! Are you looking for a unique, mouth-watering idea for your next party, or social event? Nothing makes people smile like fresh, hot donuts, so let us dazzle you and your guests! We don’t just make donuts, we make smiles! Sparkle and Shine with AMJ this Holiday Season! AMJ Spectacular Events has a variety of items for that memorable holiday event all in one place, http://www.christmasrentals4u.com/. When you call us, an expert event specialist will assist you in creating an occasion that will sparkle and shine this season! AMJ has an amazing selection of ways to spruce up any area. Wooden Toy Soldier Christmas Prop is one of our newest additions. Or do you need to add some WOW to your yard? How about invite this gingerbread family, Ginger Bread Men w/ Christmas Tree, to bring some holiday cheer to your guests?! What’s more popular than photo-ops lately? AMJ has just what the camera ordered with the Human Snow Globe. This snow globe can be customized with a school name or club/group/sorority or fraternity logo to create a personal touch for your holiday party. Or with renting Santa’s Sleigh to provide a beautiful backdrop to set the holiday spirit and it’s a wonderful photo prop for your guests. Don’t have room for a sleigh? How about a Santa Chair or a Santa Bench? We have many varieties. The timeless classic picture with Santa and the Santa King Throne is sure to please all ages. AMJ has more holiday themed costumes perfect for your event. We also have Mrs.Claus, Reindeer, Holiday Bear or a Snowman. Check them out here. You can even rent a camera and have our staff member capture the moment and print a picture off for your guests to leave with. 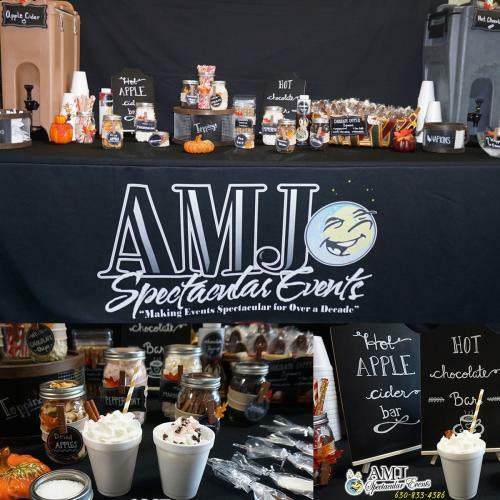 Gift your employees with a surprise of AMJ’s Hot Chocolate Bar or Hot Apple Cider Bar when they walk into the meeting or break room. Show them they are appreciated and that you wish them a Happy Holiday season. Ho, Ho, Ho, all aboard! Trackless Trains are sure to impress with your Polar Express themed party. AMJ offers a variety of trains for youth and for the whole family. The indoor/outdoor capability is perfect for transporting guests from the parking area to the event or have Santa ride in with the gifts for the children! Looking to keep the kiddos entertained during your event? 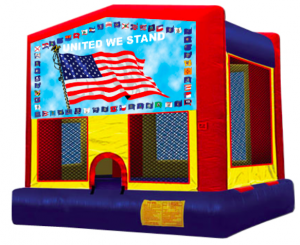 Offer them some heart-pumping, smile-making inflatables or a couple new creative stations. AMJ now offers a Cookie Decorating Station and our New Ornament Craft Station. Keep the little elves amused and occupied with this holiday inspired Candy Cane Moon Jump or go on a Candyland Adventure, they will love exploring this gingerbread house with an eight foot slide! If you are looking for more of a challenge, how about our 45’ Christmas Inflatable Obstacle Course to help make more memories?! 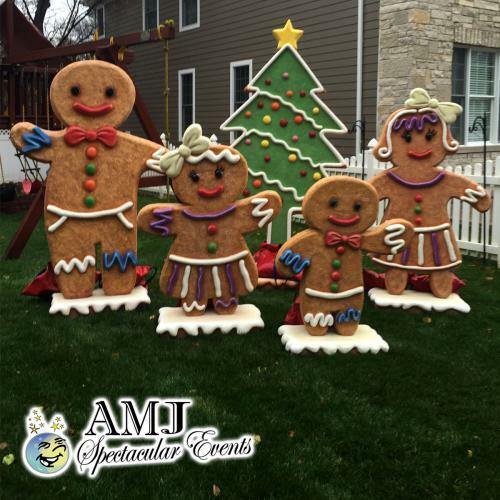 These are just a some of the ways AMJ can enhance your holiday event. Check out our holiday themed page for many more excellent options! From our family to yours, Happy Holidays! AMJ Spectacular Events is prepared to assist you in creating a memorable holiday party this year. These items will be booked quickly this holiday season, so be sure to call us right away to check on availability at 630-833-4386 or email us at sales@amjse.com.